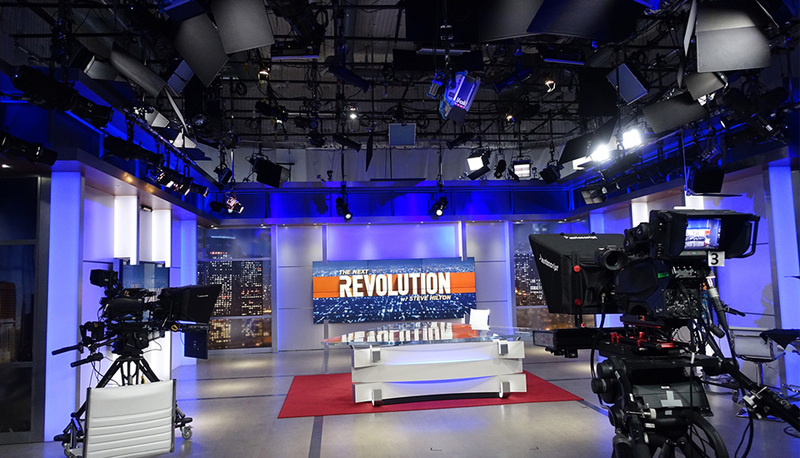 When Fox News updated its Culver City studio for the launch of “The Next Revolution” last summer they also invested in new LED lighting. Working with 4Wall Entertainment on the lighting package, Reinig and his counterparts in New York specified a mostly LED system using ETC instruments. The new rig includes 32 ETC Source Four LED Series 2 fixtures with Lustr arrays and a range of lenses (19, 26 and 36 degrees) are the new key lights for the talent and color washes on the scenic panels. A few classic Source Fours are used as specials powered by an ETC 24-channel Sensor3 dimmer pack. 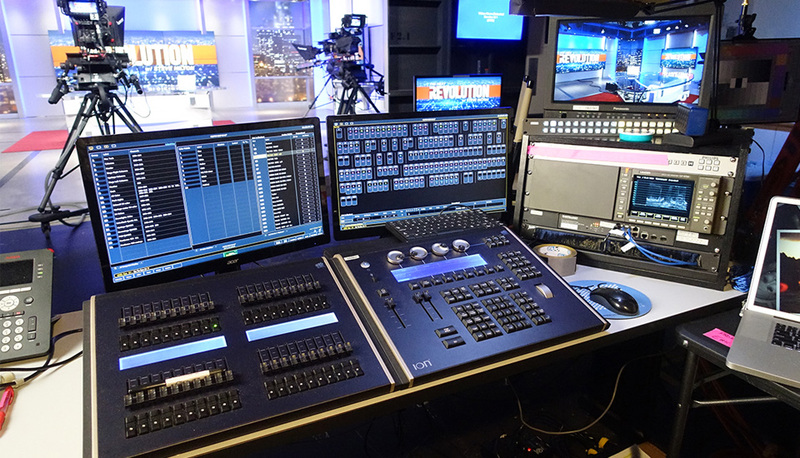 “We went from a ‘baby starter’ two-scene, preset to an ETC Ion 1500 (lighting console) with a 2×20 fader wing,” notes Reining, who also uses an Ion console at Fox Sports nearby.